A production system consisting of manufacturing cells linked together with a functionally integrated system for inventory and production control that uses less of the key resources needed to make goods. How is Lean Manufacturing Different from Traditional Manufacturing? Lean involves a fundamental paradigm shift from conventional "batch and queue" mass production to product-aligned "one-piece flow" pull production. Whereas "batch and queue" involves mass production of large lots of products in advance based on potential or predicted customer demands, a "one-piece flow" system rearranges production activities in a way that processing steps of different types are conducted immediately adjacent to each other in a continuous flow. This shift requires highly controlled processes operated in a well maintained, ordered, and clean environment that incorporates principles of employee-involved, system-wide, continual improvement. By definition, lean manufacturing is the systematic elimination of waste from all aspects of an organization's operations, where waste is viewed as any use or loss of resources that does not lead directly to creating the product or service a customer wants when they want it. In many industrial processes, such non-value added activity can comprise more than 90 percent of a factory's total. Lean manufacturing – also known as lean or agile manufacturing was originally developed by the Toyota Motor Company in Japan based on concepts pioneered by Henry Ford. 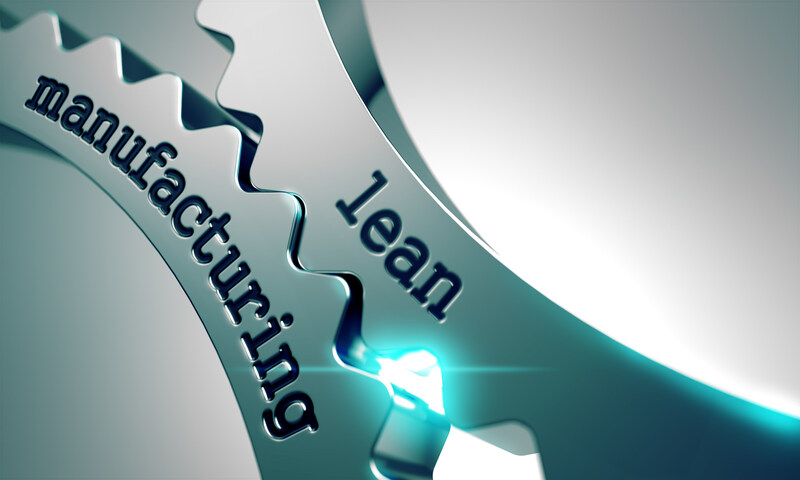 Nationwide, numerous companies of varying size across multiple industry sectors, primarily in manufacturing and service sectors, are implementing lean production, and experts report that the rate of lean adoption is accelerating. Companies generally choose to engage in lean production to boost company profits and competitiveness. An improvement process involving five steps (Sort, Set in order, Shine, Standardize, and Sustain) to create and maintain a clean, neat, and orderly workplace. Some organizations add a sixth "S" for Safety. Standard work represents the best ("least-waste") way to perform a given operation. Visual controls are used to reinforce standardized procedures and to display the status of an activity so every employee can see it and take appropriate action. An approach where manufacturing work centers (cells) have the total capabilities needed to produce an item or group of similar items; contrasts to setting up work centers on the basis of similar equipment or capabilities, in which case items must move among multiple work centers before they are completed. An approach to enlist operators in the design, selection, correction, and maintenance of equipment to ensure that every machine or process is always able to perform its required tasks without interrupting or slowing down defect free production. A methodology and collection of statistical tools to reduce variation and improve business processes. Six sigma aims at a defect rate of no more than 3.4 defects per million chances. Value Stream Mapping (VSM) is a great tool to get you focused on your customer needs. It ties in perfectly with Strategy Deployment as a method of highlighting areas in need of improvement. VSM will give you a 30,000 feet view of the whole manufacturing system and from this vantage point you can identify which key areas need to improve first in order to give customers what they want, when they want it. Using a Value Stream Map you will see how the current activities are performed, how much time each activity is taking and which activities are "Value Adding" or "Non-value Adding". Remember: Customers want value for money, not waste such as waiting, rework, scrap, etc. Once you learn how to identify waste, you start to see it. Once you see it, you can start to eliminate it. However, if you can't see waste it stays hidden and continues to add cost to the finished products. Data Collection will be necessary prior to mapping a process. There are specific data requirements which must be met before you can successfully move onto the Value Stream Mapping process. A Current State Value Stream Map will show just how you are supplying your customers today. Using the Current State Map you can clearly see waste and from this determine what to change and in what order of priority these changes need to occur. The end result is to identify any process improvements that will allow your company to supply your customers in more effective manner. The next stage is to create a Future State Value Stream Map. This will allow you to eliminate or reduce waste from the current state process and it shows graphically the overall effects of these changes on the manufacturing process before you even move or change anything. Usually the Future State Value Stream Map is a vision of the manufacturing process over the next 6 - 12 months. Develop an implementation plan using the Future State Map. This implementation plan will define what to do, when to do it and who is responsible. If you know where you need to focus your resources today, it's much easier to know where you are heading tomorrow, and you can plan to make the transition into the future state a much easier, enjoyable and successful experience.